Military working dogs (MWDs) are elite canines, responsible for saving hundreds of thousands of lives a year. They keep our military personnel safe by sniffing for explosives and drugs, acting as guard and protector and performing the duties of mascot, sentry and friend. 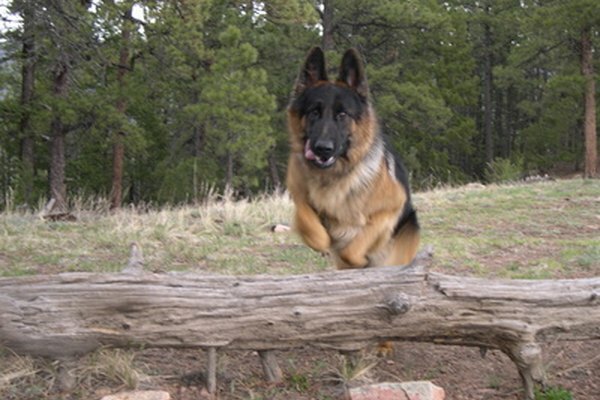 The dogs that serve as MWDs are carefully chosen, socialized, and trained, as are their trainers and handlers. Military working dog handlers are experts in their field with years of experience and knowledge, and they pour time, energy, and thousands of dollars into selecting and training a MWD. Find and choose the proper dog. 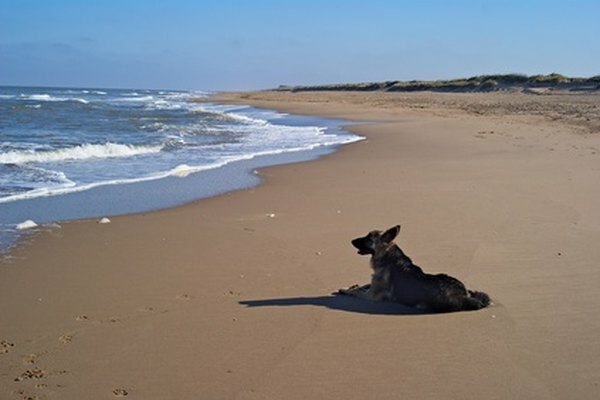 The dog will need to be a dog with guardian or working linage, most likely a German Shepherd, Doberman Pinscher, Rottweiler, or Belgian Malinois. 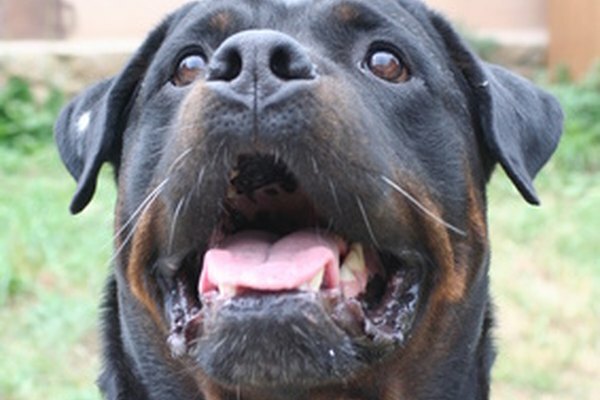 The dog must possess the ability and drive to play, and be quite energetic. These dogs often appear high strung. Teach the dog obedience. Basic and advanced obedience comprise the foundation for all other training. His obedience must be instant, unwavering, and unquestioning. He needs to be drilled in sit, down, stay, heel, drop it and come. His obedience training not only reinforces his submission, but could save his life in the field. Expose the dog to a variety of tasks, people, places and things. Acclimate him to everything he may ever come across in the field. This includes massive, boisterous crowds, urban environment, other animals and difficult footing. Subject him to loud noises, unfamiliar places, and obstacles, such as jumps, logs, tunnels and crevices. Train the dog in his specialty. This could be narcotic or explosives detection, patrol work, protection work or tracking/sentry work. Any kind of detection work is trained by linking whatever you want found to something the dog considers desirable, such as a toy, treat, or playtime. Protection work is often innate and instinctual, and must be carefully groomed and controlled by an experienced handler. Continue working with the dog. A MWD always has new skills to learn, and training him is a life-long process. Bond with your MWD through play. Ensure the dog has all necessary vaccinations. 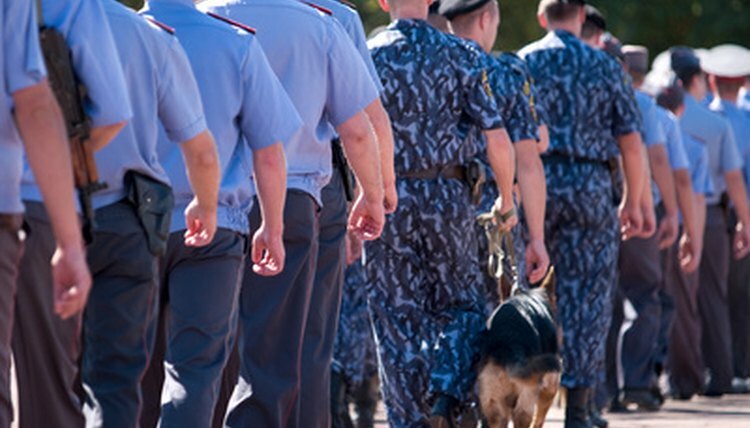 Do not train a personal pet as a military working dog. It's dangerous and could result in a dog whose aggressive tendencies and high drive cannot be controlled. What Horse Breeds Are Friendliest to People? 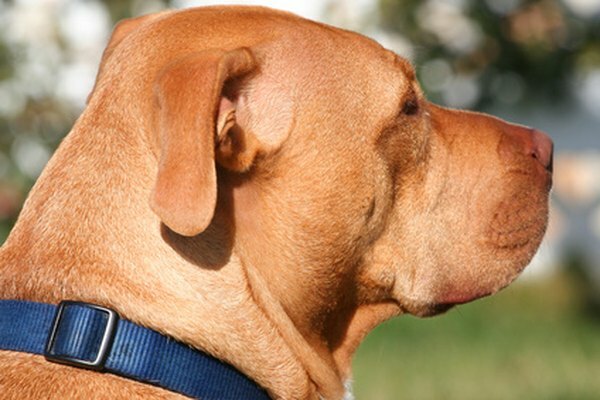 What Are the Characteristics of a Pit Bull Terrier? What Does It Mean When a Rabbit Thumps His Hind Legs?